The charity workout costs $10, which is less than half the price of a drop-in class at BODI (regularly $25) and it’s going towards a great cause! For my 33rd birthday this year, I thought it would be fun to host a charity workout event where likeminded active individuals can get together at BODI to support a charitable organization that is very important to me! The charity program of choice is called Angel Pups Around Us. This program is part of the Pearce Family Foundation organization that raises funds for families with children who suffer from chronic illness. Part of the therapy that these children need is provided by service animals and Angel Pups Around Us helps to financially support these animals for children in need. 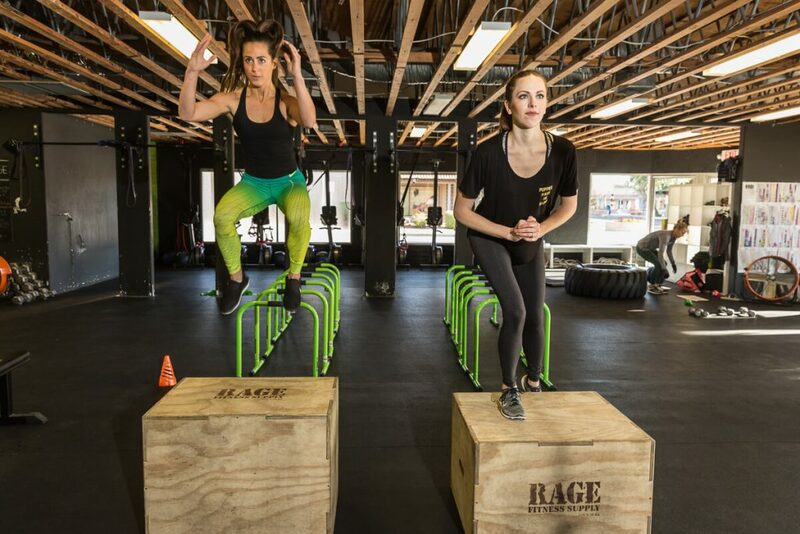 Box jumps exercise, which shows how you can modify. On the left, Nikki has the box at a medium height and is jumping on top of it. On the right, I am walking on top of the box at the lowest height. Here are two different strength exercises that would be categorized in the "Strength" class. On the left, Nikki is doing a plank with a row and she'll finish with a push-up, which can be done on your knees too. 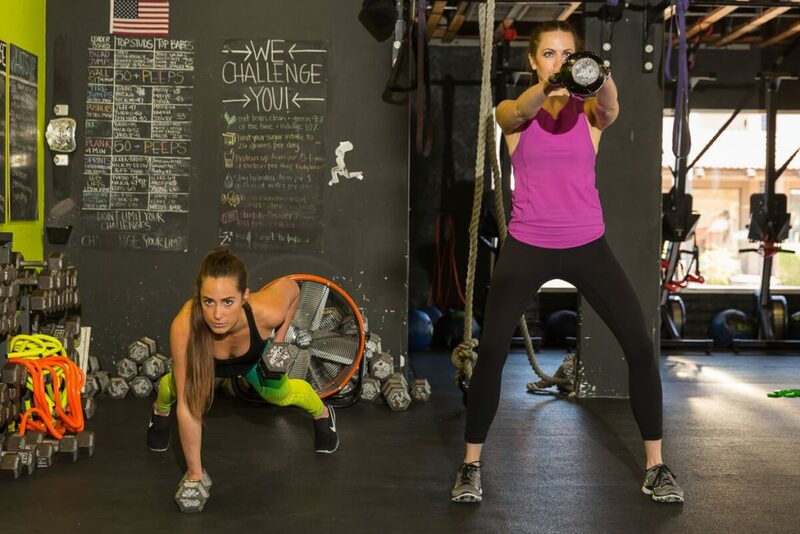 On the right, I'm doing a kettlebell swing. If you’ve been reading The Foxy Kat blog or following along on Instagram (@thefoxykat1) for the past 2 years, then you have definitely heard of BODI. BODI is a fitness studio focused on HIIT (High Intensity Interval Training) exercises that help to strengthen and tone the body while getting your heart rate up. This blog post highlights some of my favorite exercises at BODI, so that you have an idea of what to expect. My favorite things about BODI are… the music, the motivating instructors, and the quick exercises that make me feel stronger afterwards! Plus, BODI allows multiple modifications for all fitness levels. This is a cardio exercise that would be categorized under the "Sweat" class at BODI. Classes switch off between exercise bikes, rowing machines, running outside, etc. Another Sweat exercise is the agility ladders as shown here. 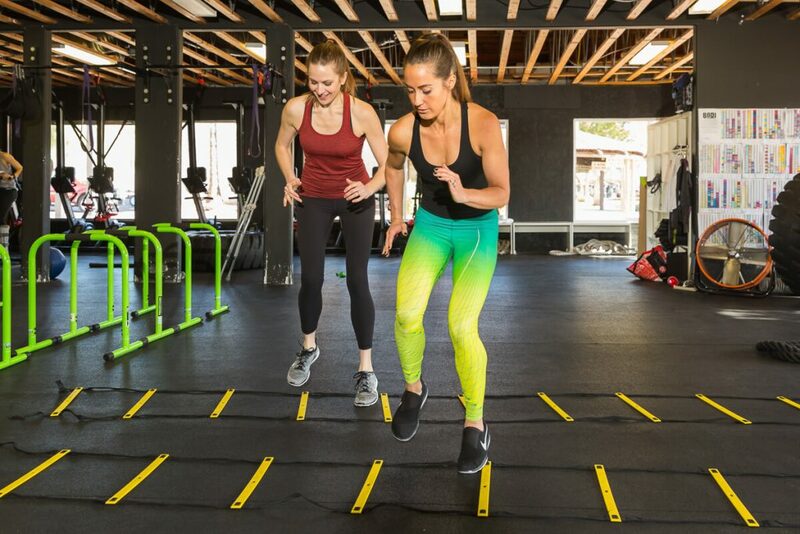 There are multiple things you can do with an agility ladder to get a great workout! A little bit about the event… the event starts at 12:30pm. Please arrive on time so that you can get checked in, sign a waiver and check out the raffle prizes! The actual workout will start at 1pm and will be no longer than 60 (that includes a warm-up and stretching at the end.) At 2pm, the raffle winners will be announced and you can hang around to mingle until the event ends at 2:30pm. 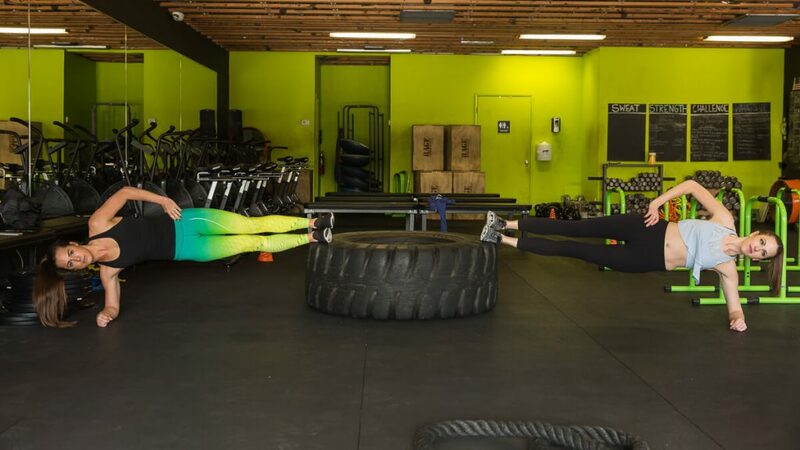 The big tires is a pretty intimidating piece of equipment, but a great way to use it in group fitness classes with an elevated plank, which can also be modified to make it easier or harder. 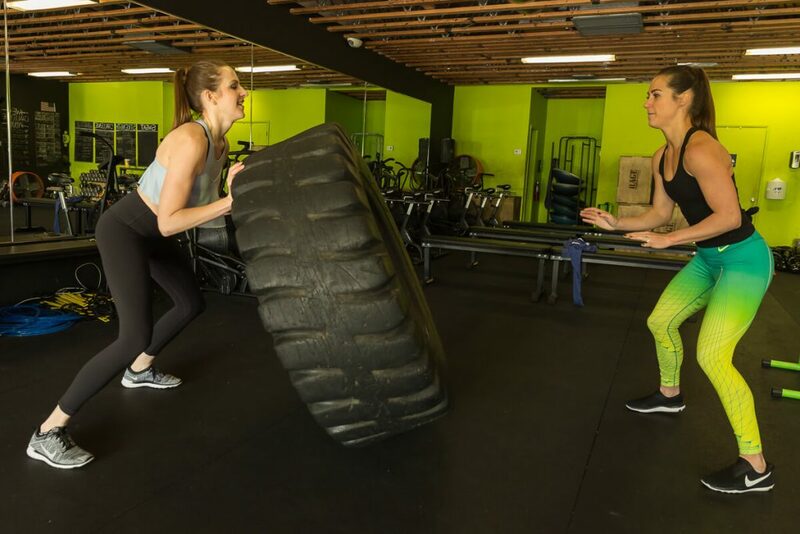 A great partner exercise is actually pushing the tire from person to person. It works your upper body while also strengthening through your core. The raffles will be announced and added here until the event on Sunday. All proceeds from the raffles will benefit Pearce Family Foundation and Angel Pups Around Us…. BODI – A class pack of 10 classes to BODI valued at $135. *This is a social media giveaway. Head to @thefoxykat1 on Instagram to find out how to enter! The winner will be announced before the workout starts on 8/26/18. Marisa Belle Photography.– A couple photo session valued at $500. Wild Bunch Desert Guides – A hike or mountain bike tour for two valued at $500. Stellar Adventures – An off-roading tour for two valued at $400. 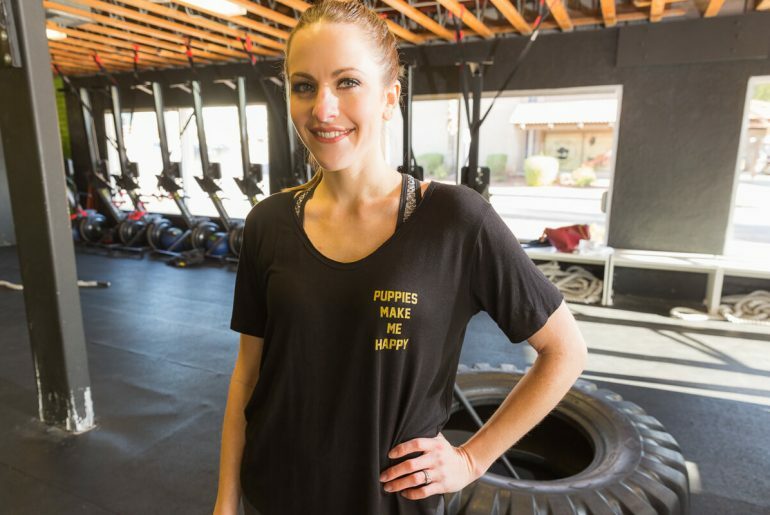 BU Activewear – Women’s workout leggings valued at $50. Stella & Dot – A necklace, earrings, and a catered champagne brunch style session for you and your friends valued at $150. Kendra Scott – A necklace and matching earrings valued at $130. Pearce Family Foundation – An Angels Are Around Us t-shirt and a Not Vodka water bottle valued at $60. Using the exercise ropes is one of my favorite workouts! 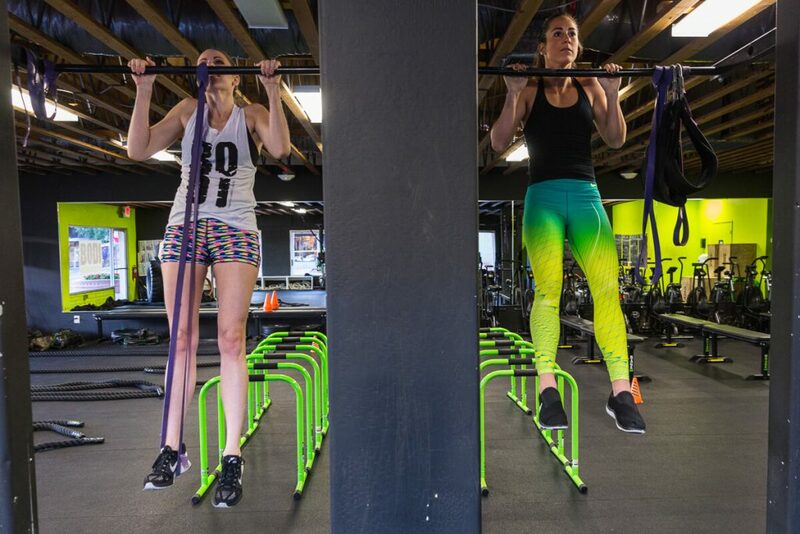 These are rope slams, which definitely give a full body workout. 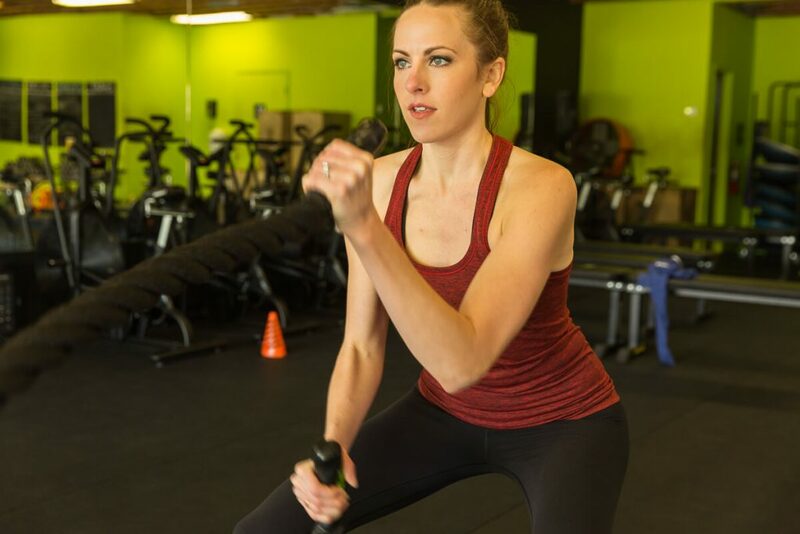 This exercise rope workout are rope waves, which I tend to feel more so in my upper body. There are a bunch of other things you can with these ropes too! The Pearce Family Foundation hosts multiple events a year to raise money for their cause. One of the events that I’ve been involved with in the past is called Runway Of Hope, which is a charity fashion show to raise money for these families. I had the pleasure of attending the show in 2016, styling the entire fashion show in 2017, and styling one of the designers collections this year. To read more about this fashion show, search “PFF” or click here. 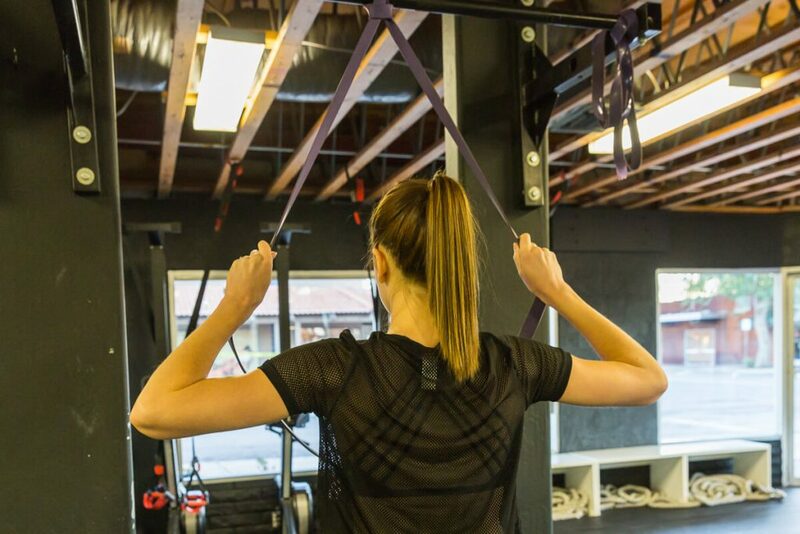 Pull ups and chin ups are a very advanced exercise that is not required at BODI. Here you can see that I am using a large rubber band as support in my chin ups. Another modification that I often take is using the rubber band to pull down and mimic a pull up like exercise for a similar benefit. Proceeds benefit the Angel Pups Around Us program through Pearce Family Foundation. Exercise where you squat and jump to high five your partner. Exercise where you squat into a wall ball toss. Two different exercises using TRX bands. On left is a plank into a V up and on the right is an upright row. That sounds like an amazing organization to support! <3 I really like doing tire flips, haha. I wish I lived around the area–I'd definitely want to come! Wow, what a nice way to celebrate your birthday and I can feel how happy you are in doing that.